Originally built as a Microtel, servicing 101 rooms, the client came to us with a vision to transform this building into a unique experience for their clientele. 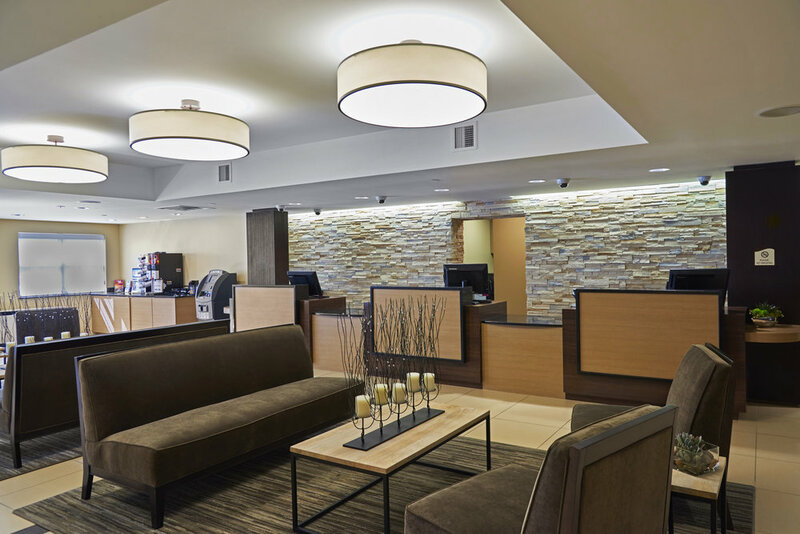 The design scope included a complete overhaul on all finishes, furniture and fixtures, a redesign of the lobby, administrative and conferencing areas, and a conversion of a preexisting pool building to an office space. The end product resulted in an upgraded boutique hotel concept while maintaining the amenities and expectations of a standard Inn.